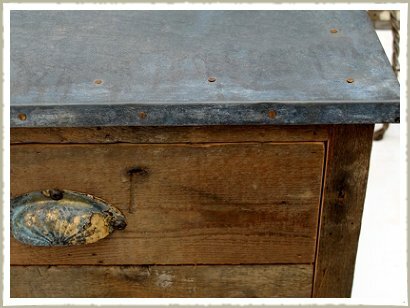 Vintage reclaimed plan/ map chest. 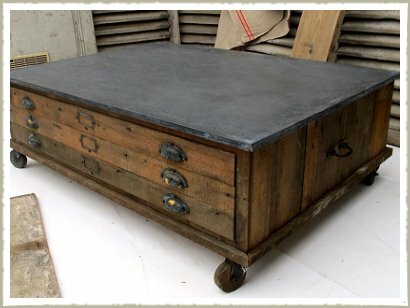 3 draw zinc topped coffee table with a worn industrial look. 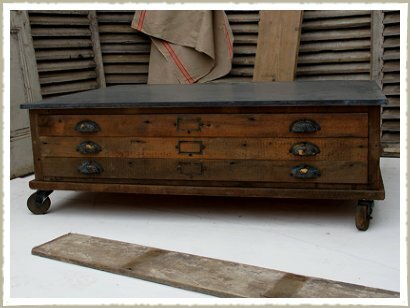 An unusual but heighly sought after coffee table. 122cm wide 89cm deep 41cm high.